HEAVY ROOTS TITLE. 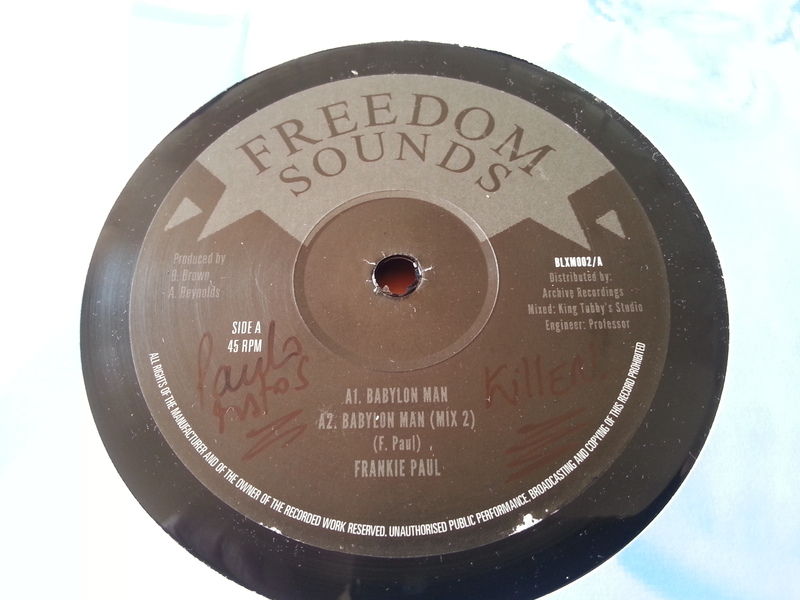 MUCH IN DEMAND FRANKIE PAUL STEPPERS TUNE, BEFORE HE HIT WORLDWIDE FAME. WORKING CLOSELY WITH PRODUCERS BERTRAM BROWN, ALLAN HOYTE, EARL SMITH, JOE GIBBS... TO NAME A FEW. 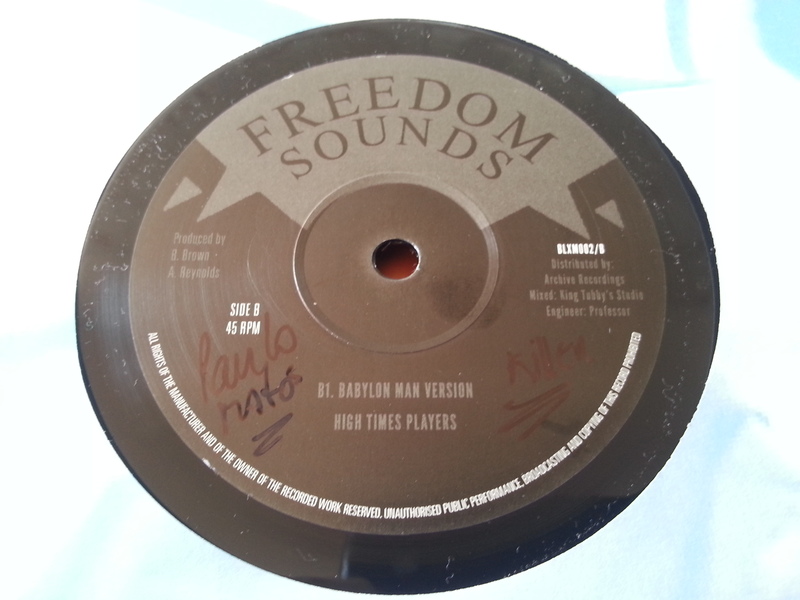 THIS IS THE TRACK THAT USED TO DO DAMAGE IN THE DANCEHALLS DURING THE VERY EARLY EIGHTIES. IT WAS MAINLY A HANDFUL OF THE TOP SOUND SYSTEMS OF THE ERA (I.E. 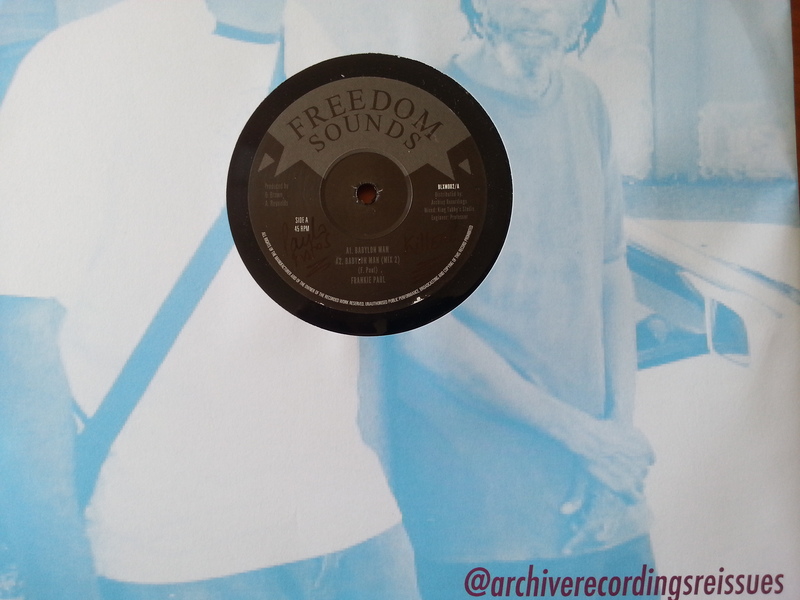 SIR COXSONE, KING TUBBYS, JAVA ETC) WHO OFTEN CUT ACETATES AT KING TUBBY'S STUDIO THAT WERE PRIVY TO THE EXCLUSIVES SUCH AS THIS TUNE - THEY COULD SHOWCASE A NUMBER OF FRANKIE PAUL MATERIAL WAY IN ADVANCE AS A GIVEN ADVANTAGE. THE VOCAL CUT WAS ONLY EVER AVAILABLE ON FRANKIE'S DEBUT ALBUM BUT NOW FOR THE FIRST TIME WE ARE ISSUING TWO VOCAL MIXES PLUS A DUBBED OUT VERSION. THIS WILL BE A DEFINITE SLOW BURNER, SO GET TO KNOW!! RECORDED AND MIXED AT KING TUBBY STUDIO AND CHANNEL 1, KINGSTON JAMAICA WITH SUPREMO ENGINEER, PROFESSOR HANDLING THE DUBBING DUTIES. PRODUCED BY BERTRAM BROWN AND ANTHONY RENNALLS.